Hubs and (fresh from the belly) Baby Casey, November 2006.
p.p.s. Mmmmmm... Slow Cooker Baked Potato Soup! 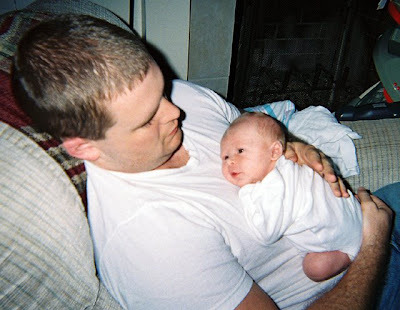 I love newborn baby pictures, Casey almost looks like he's looking up to see dad...............awwww! Aw, the preciousness. I can't wait!